Mr Samuel MAKUZA graduated in MOI UNIVERSITY NAIROBI – KENYA with an Executive Master ‘s Degree in Business Administration Aviation option. 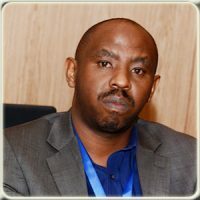 Mr. Samuel MAKUZA entered the aviation activities in January 2002 and worked as Air Traffic Controller after completing the related course and Aeronautical Information Officer in Rwanda, in 2012 joined the Air Operation activities in United Nation Africa Hybrid Mission Darfur (UNAMID) Nyala International Airport. Air Traffic Controller (ATC) course and qualified as an Aerodrome and Approach Controller in 2002 EASA (East African School of Aviation) Kenya, Fundamentals of Aeronautical Information Services Concepts and Applications Course in October 2007 SAA (Singapore Aviation Academy), Aeronautical Information Officers Course 2010, Aviation conventional and Digital Cartography course in 2011 CIVIL AVIATION TRAINING CENTRE (TANZANIA CIVIL AVIATION AUTHORITY). Mr. Samuel MAKUZA has attended and facilitated several aviation-related summit, conference and seminars around the world. These include the 48th AFRAA Annual General Assembly in Victoria Falls, Zimbabwe 2016, AviAssist Aviation Safety Symposium, Amsterdam Netherlands April 2018, The 6th World Aviation Safety Summit, Dubai December 2018. Mr. Samuel MAKUZA, presently manage as founder the Aviajoin Ltd an aviation consultant company with the aim to share aviation skills and part time lecturer at University of Technology and Tourism Business study UTB.